The Department of Labor recently issued new rules that make it easier for small businesses to join together to create association health plans. With this change, small businesses can form AHPs without having to follow some Affordable Care Act requirements that they previously had to adhere to. Now, in theory, it is easier to create AHPs if members are in the same trade, industry or profession in the U.S., or if members are in the same place of business in a state or metropolitan area, even if it extends across state lines. These new rules are a positive step forward, but not enough. The rules could be further clarified. And, importantly, they could be loosened up further so that employers can save money and provide better insurance to their employees. For example, while members of an AHP can create an association plan that extends across state lines, they still have to follow the rules of the state they’re in that has the most restrictive laws. An AHP that’s domiciled in New Jersey but extends into New York City would still have to follow New York’s fairly restrictive laws, even though the AHP was created in New Jersey. Forcing AHPs to follow the most restrictive laws helps to keep insurance buyers from flocking from a state insurance health plan and joining an AHP — a move that could cause state insurance exchanges to collapse. But what’s more important — propping up the exchanges or providing people with better, more affordable insurance? While there is plenty of opportunity to improve the way AHPs work, there may still be benefits to joining one as a small employer. Creating a health insurance plan for associations of people who share a common trade or work in a common industry has the power to increase options and potentially lower premiums for small employers to provide coverage to their employees. A self-funded AHP can be set up to look and feel like a typical small business plan with a large, national provider network, your own renewal cycle and effective date and your own personal billing. But the self-funding aspect means that you can get coverage that’s much more flexible for your small business, or less coverage for better rates than is offered elsewhere. Some other advantages are that AHPs often offer a dividend program for its employer-member. 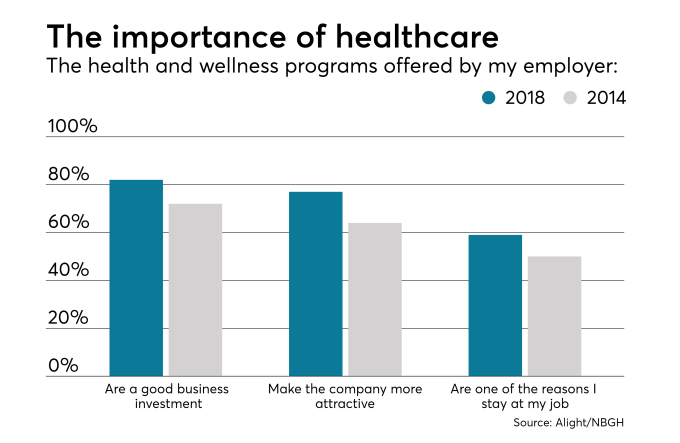 This means that if the plan runs well, you could expect a good renewal rate and a dividend payment; employers are rewarded for the health of their employee members. Renewals for AHPs are typically lower and offer more stable increases than other fully-insured plans — about half that of the small group market renewals. The changes to AHPs make them an attractive option for small employers. We’re advising several of our clients to join them and helping others to create them. However, there is much more the federal government can do to clarify rules, allow AHPs to operate more freely, and enable employers to offer better health insurance at a lower price.